Peterborough secured their first ever Johnstone's Paint Trophy triumph with a 3-1 victory over Chesterfield at Wembley. Goals from Josh McQuoid and Shaun Brisley put Posh in the driving seat at half time as the Spireites were punished for not making the most of their opportunities. 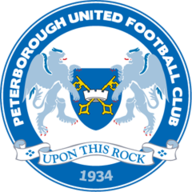 However, Eoin Doyle's strike and a red card for Peterborough midfielder Joe Newell looked to have swung the game more towards the League Two side. But Britt Assombalonga's penalty restored the two-goal cushion and ensured Ferguson became only the second man to win the competition both as a player and a manager, following in the footsteps of Sean O'Driscoll. Brisley was fortunate not to concede an early penalty for a strong challenge from behind on Doyle. At the other end, a timely tackle from Ian Evatt prevented Newell from giving Peterborough the lead. But from the resulting corner Posh did score. Brisley was allowed a free header which was palmed away by Tommy Lee and McQuoid was on hand to turn in the loose ball from close range with seven minutes on the clock. Substitute Sam Hird, on as a 12th-minute replacement for the injured Ollie Banks, had Chesterfield's first chance and his far-post header was goalbound until it was deflected wide off the back of an unknowing defender. The League Two side responded well to falling behind and enjoyed a dominant half an hour spell against their opponents from the division above, but ultimately they would be made to pay for not making it count. Gary Roberts, who earlier appeared to go to ground too easily inside the penalty area under minimal contact from Nathaniel Knight-Percival, was linking up well down the right with Tendayi Darikwa. It was from neat build up play involving those two that Chesterfield should have equalised but Sam Morsy sliced his shot wide from Darikwa's low cross. A second gilt-edged chance soon came the way of Evatt but he headed unchallenged straight into the arms of Bobby Olejnik from six yards out. You got the feeling that Paul Cook's team might rue missing such chances, and so it proved seven minutes before half time when Brisley out-jumped his marker to head home Danny Swanson's corner. 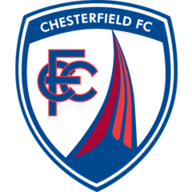 But Chesterfield reduced their arrears in the 53rd minute when Doyle swept home a shot from seven yards out following Morsy's excellent driving run and cross. And their tails were up further in the 68th minute when Newell was shown a straight red card by referee Andy D'Urso for a petulant kick out at Morsy. Cook sensed his chance and immediately replaced midfielder Jay O'Shea with on-loan Derby striker Mason Bennett. However, Chesterfield's glimmer of hope was soon snuffed out as Mark Little, who had a loan spell with the Spireites during the 2009/10 campaign, saw his burst into the box halted when he was clipped by Liam Cooper. Assombalonga coolly stroked the resulting penalty down the centre for his 27th goal of the season to seal Peterborough's first Wembley win since defeating Darlington in the then-Division Three play-off final in 2000. Chesterfield, who impressed with their style of football but were unable to repeat their triumph of two years ago, will hope this is the only time they visit Wembley this season as they look to secure automatic promotion while Posh will hope to be back in May for the League One play-off final.